Washington, D.C. (TADIAS) – The Addis Ababa-based Ethiopian and German duet, Munit and Jorg, will launch their first U.S. tour with a concert in Washington, D.C. next week. Organizers announced that the event, which is scheduled to be held on July 1st at Tropicalia Dance Club, will open with a performance by the multigenerational Feedel Band and will be hosted by Seattle-based hip-hop musician Gabriel Teodros. 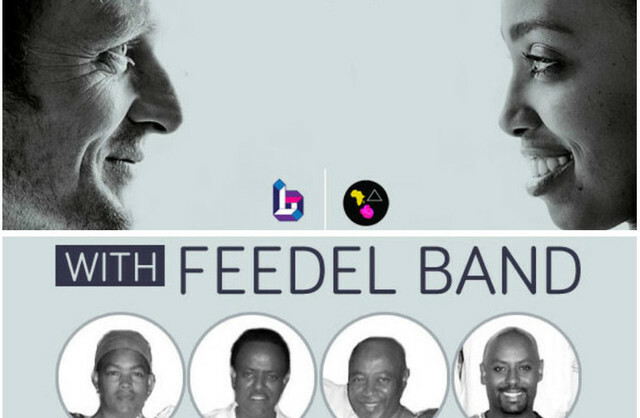 Last year Munit and Jorg were among two bands selected from Ethiopia, along with Ethiocolor from Fendika, to perform at various festivals in Spain including in the 21st International Festival Canarias Jazz & Más Heineken. “We call our music ‘Ethio-Acoustic Soul’ because it has soul vibe, it’s participatory, improvisational, it engages the audience in an entertaining way,” the vocalist Munit Mesfin told Tadias in a recent interview. Munit said the duo, who play Amharic and English songs, met six years ago during the Ethiopian Millennium celebrations in Addis, introduced by a mutual friend. The following year they released their debut album Just the Two of Us: Live at the Coffee House. In addition to being the guitarist in the band Jorg Pfeil, who has lived in Ethiopia for seven years with his wife and child, also teaches at the German School in Addis Ababa. Munit and Jorg’s East Coast CD release tour will include a stop in New York in mid July.